Created by the acclaimed English cabinetmakers, Edwards & Roberts, in the late 19th Century, this tiered table features beautiful marquetry compositions. 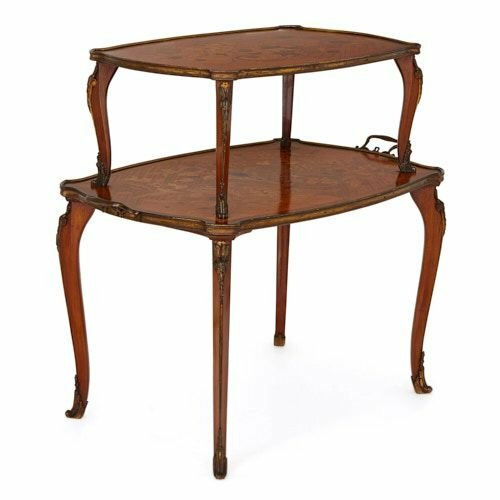 This tea table is composed of two tiers, the upper tier created by placing a small table on top of a larger table of near identical design. 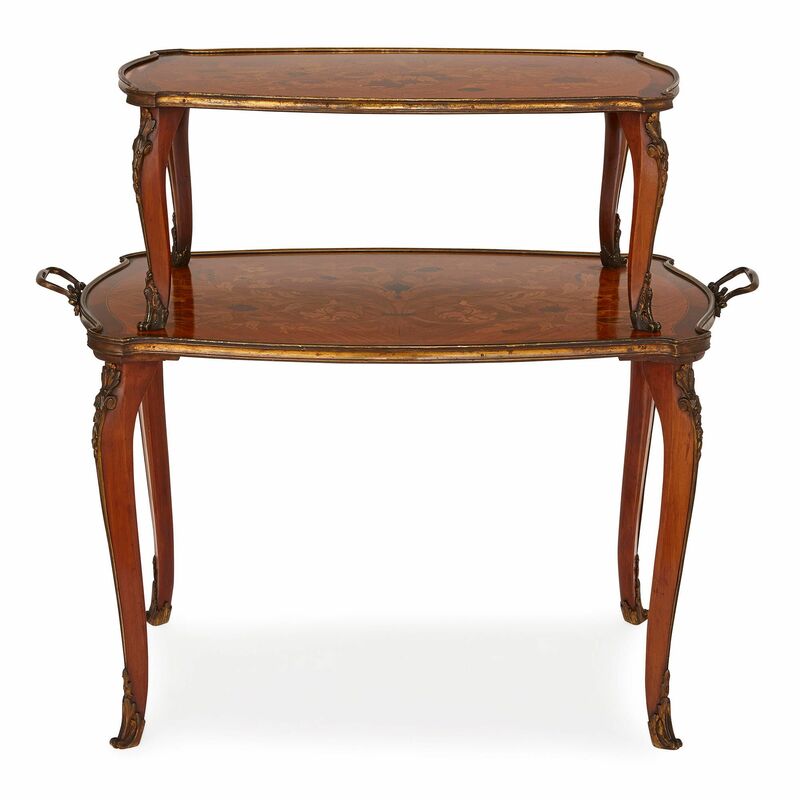 The two table tops feature elaborate, floral satinwood marquetry designs, which are supported on four cabriole legs, set on scrolling ormolu feet. The main, lower four legs of the piece are finished with upward-curling ormolu feet, with foliate shins. Supported on these feet, the cabriole legs first bow inwards, and then out. They are fitted with ormolu mounts, which extend the length of the leg, and transform, near the top, into grotesque masks. 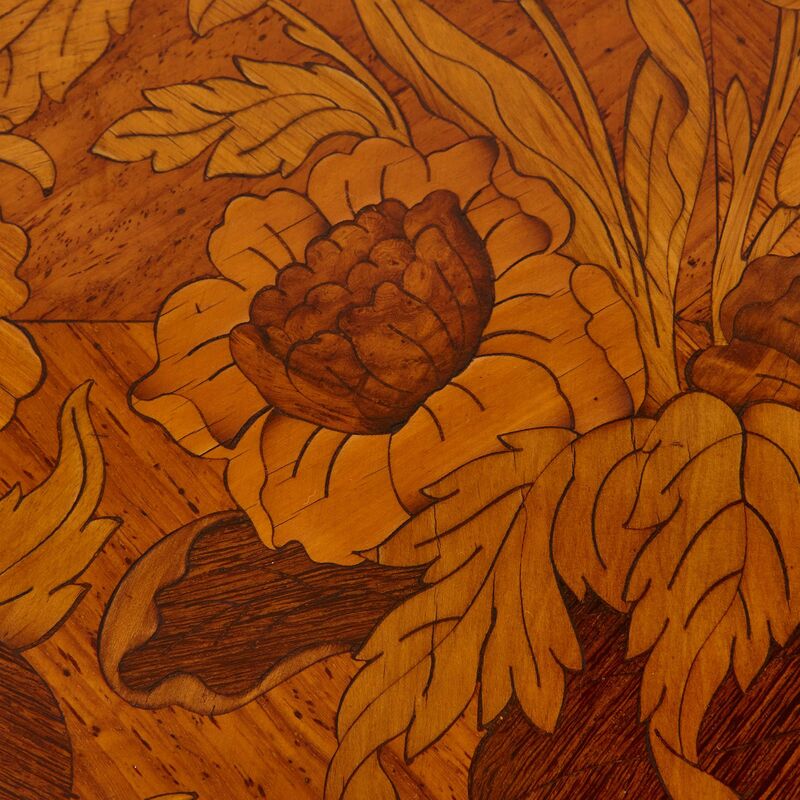 The legs hold up the table top, which is decorated with a floral marquetry composition. 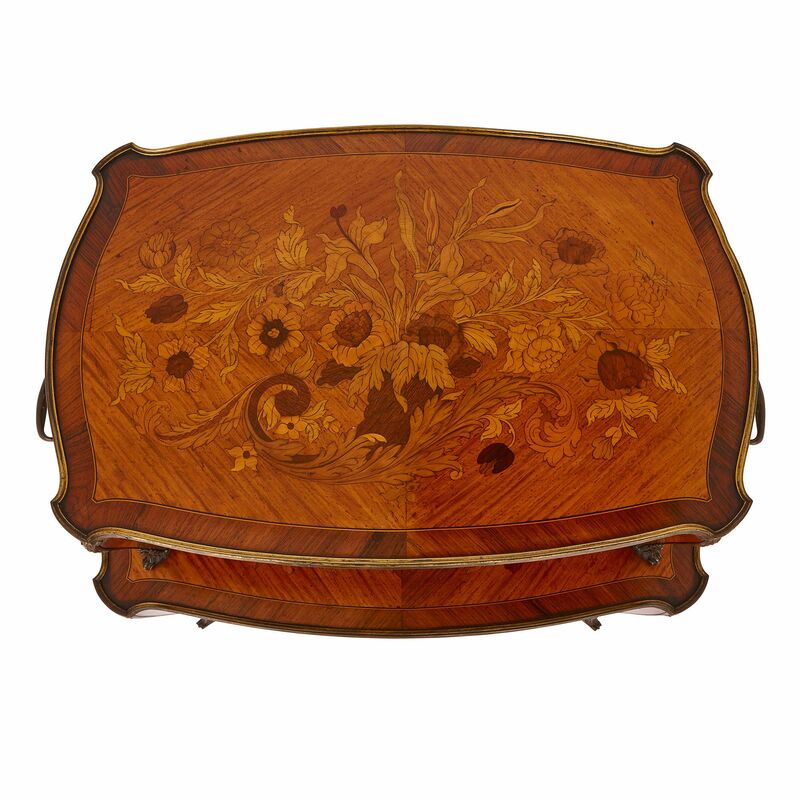 This is enclosed within an ormolu frame, which is fitted with two handles. 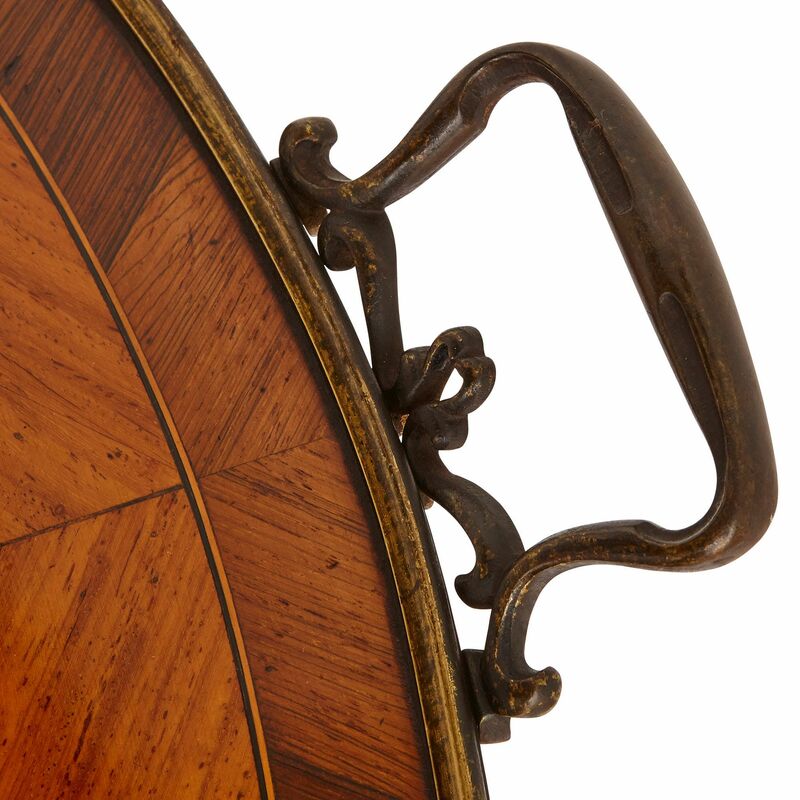 A smaller table, serving as the top shelf, surmounts the lower marquetry table top. This is similarly designed with four ormolu-mounted cabriole legs, which hold up a marquetry top that is contained within an ormolu frame. The design of the top is quite spectacular, featuring a central cornucopia, which is filled with flowers, including sunflowers and lilies. As with the composition on the lower shelf, the central floral design is enclosed within a border, created from a darker wood. 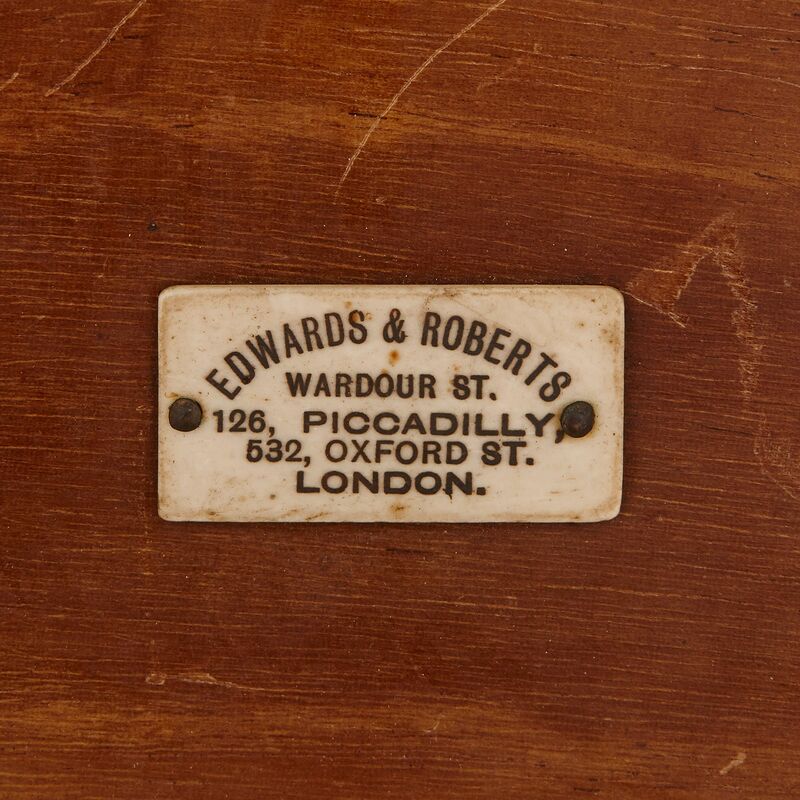 The underside of the table is fitted with a maker's label, reading 'Edwards & Roberts / Wardour St. / 126, Piccadilly, / 532, Oxford St. / London. Edwards & Roberts were leading cabinetmakers and retailers, based in London in the 19th Century. Their furniture was often modelled on fashionable 18th and 19th Century English and French pieces. Edwards & Roberts were known for the high quality of their furniture, which was often crafted from fine mahogany, burr walnut and satinwood.